Mix browned beef, salt, pepper, soup and green beans. Pour in casserole. 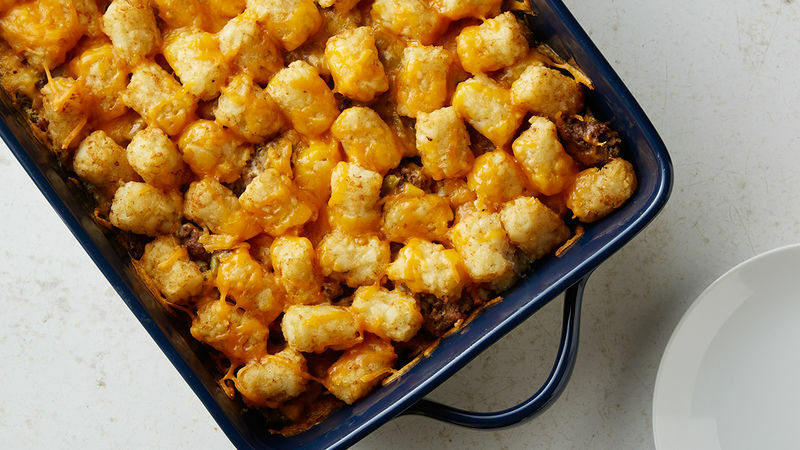 Place tater tots on top of beef mixture. Then top off with cheddar cheese. Cover with foil and bake 45 minutes. Remove foil and bake 15 minutes.